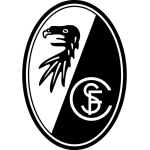 SC Freiburg vs Wolfsburg predictions for this weekend’s German Bundesliga. Can Wolfsburg make it two wins on the bounce at the Schwarzwald-Stadion against Freiburg on Saturday? Read on for our free betting tips and match preview. 2018 was a strange year for Freiburg. Record wins over in-form sides like RB Leipzig and Borussia Monchengladbach were contrasted with uninspiring defeats to teams like Dusseldorf and Mainz which often left coach Christian Streich scratching his head. He has said before that his side has “lacked aggression and stability at times”, and results such as these confirm his criticisms, and ultimately, Freiburg’s unpredictability. The South Germans do still have a seven-point cushion above the relegation zone after last weekend’s 2-2 draw against Stuttgart, but there’s much more work to be done before the season’s close. Wolfsburg will be disappointed not to have started 2019 in the same manner they ended last year. Dutch forward Wout Weghorst was to thank for scoring the only goal against Hertha Berlin in their first win – and first points tallied – in the new year after defeats to Schalke and Bayer Leverkusen. Bruno Labaddia’s men are qualifying for the UEFA Europa League as it stands, though they are still six points behind RB Leipzig and the top four. Out of the DFB Pokal after Wednesday’s 3rd Round defeat to Leipzig, the Wolves will be solely focused on making Europe a reality. And Wolfsburg could like their chances. Freiburg are one of just four sides yet to win in 2019, however, there’s one further stat that sticks out for betting on this game – only Stuttgart have seen as many goals as Freiburg (14) in 2019’s Bundesliga matches so far. Going off this, ‘both teams to score’ should be a market worth looking into. Such a bet has landed in four of Freiburg’s last four Bundesliga matches as well – in fact, they’ve seen an average of 3.4 goals per game over that run – while Wolfsburg haven’t failed to score in any of their last seven Bundesliga away days. Wolfsburg’s recent defensive inconsistencies do mean that we see Freiburg getting a goal too. Even though they’re yet to win a game in 2019, Freiburg have actually scored at least one goal in each game. Remarkably, the South Germans have even scored two in each of their last two games to no avail against Hoffenheim (a 2-4 defeat) and Stuttgart (a 2-2 draw). Defence is clearly an issue, and with Wolfsburg being a “form side” on the road – the Wolves have won 5 of their last 7 away days – we do like their chances of coming away with the win. Our prediction: 2-1 Wolfsburg. Wolfsburg have won five consecutive Bundesliga matches in Freiburg – their best-ever run away to a single top-flight opponent. Freiburg have won just one of their last six Bundesliga games (1-0 in Nuremberg on matchday 17). They took five points in that period – only Stuttgart (4), Hannover and Nürnberg (both 1) took fewer. Freiburg have conceded a league-high nine goals in 2019 (same as Stuttgart and Hannover). They’ve picked up one point this year (same as Nürnberg and Stuttgart) – only Hannover managed fewer (0). Wolfsburg have picked up 31 points – they haven’t been better off after 20 Bundesliga games since 2014/15 (41; finished 2nd). Wolfsburg have 30+ points on the board after 20 Bundesliga games for the fourth time in their Bundesliga history – they went on to qualify for Europe on all three previous occasions to date (2008/09, 2013/14, 2014/15). Wolfsburg have won four of their last five Bundesliga away games, only suffering a 2-1 loss to Schalke in this run; they have claimed 19 points on the road this season in the process – only Bayern (24) and Dortmund (21) have managed more.